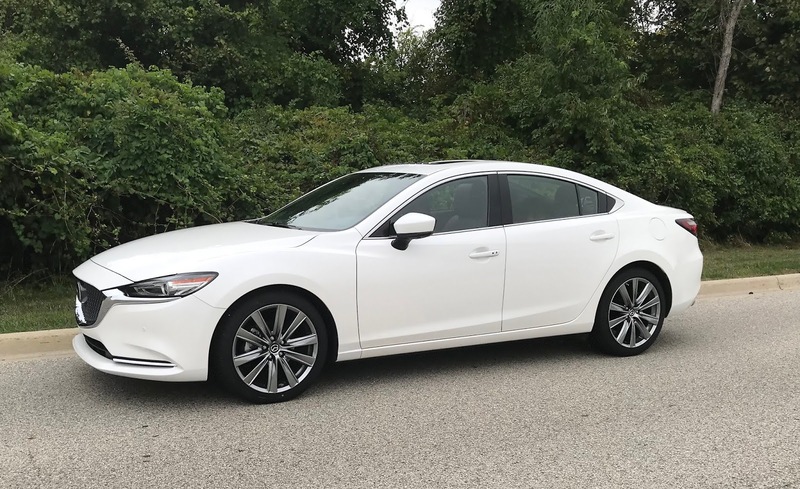 Looking for a sporty mid size sedan that comes in just over $30,000 and gets up to 31 MPG? 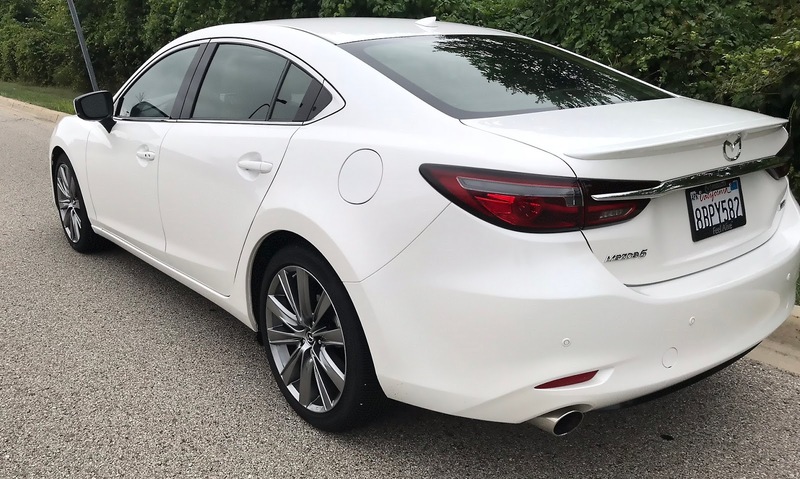 Then the 2018 Mazda6 Signature just might be for you. Since leaving my ex, almost a year ago, my commuting has quadrupled. I drive the kids to and from school every day, an now also work 15 miles away, 4 days a week. So I put a LOT of miles on my car. 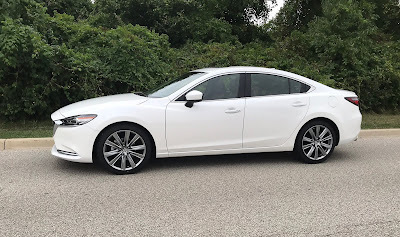 I was happy to test out the Mazda6. With all my driving I do, I knew I could put it through a good test! 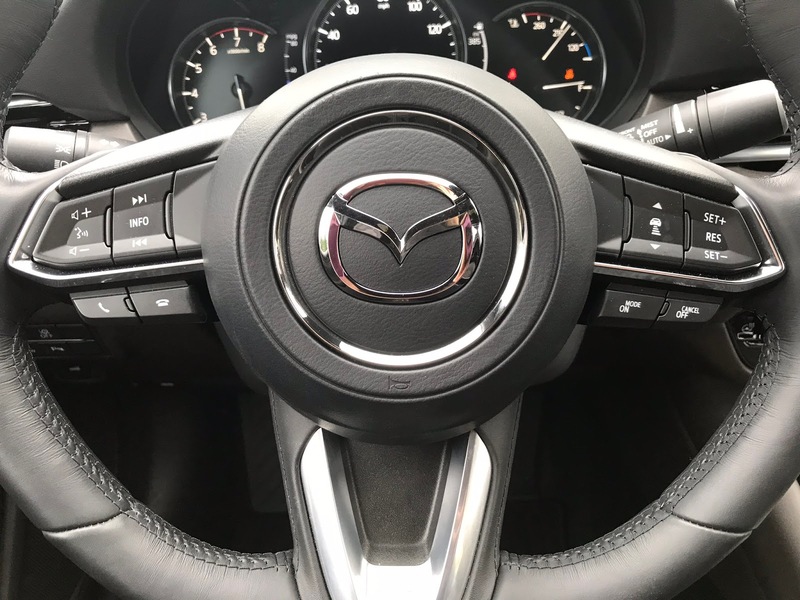 With steering wheel mounted controls, driving the Mazda6 is a breeze. Everything is right there at your fingertips. From your phone, to cruise control to the volume and tuning of the stereo. It is all right there so you never have to take your eyes off the road. 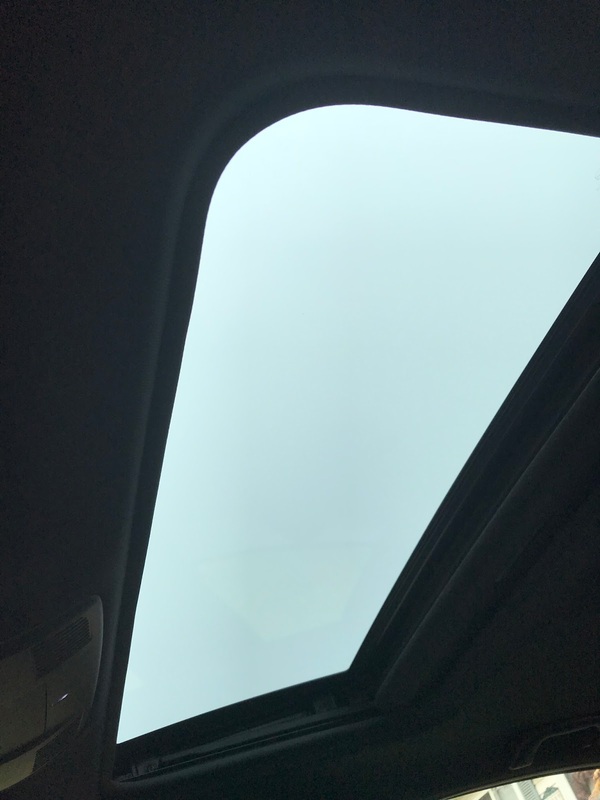 The Mazda6 displayed your speed on the windshield making it super available and easy to see without ever looking down. It also shows a stop sign at every stop, and tells you the speed limit as well, as it can read signs! Amazing technology. With an easy to use knob in the center console, using the stereo is also a breeze. The knob is really neat, it lets you control the whole stereo easily with just your fingers. You can control volume, stereo, navigation and more. 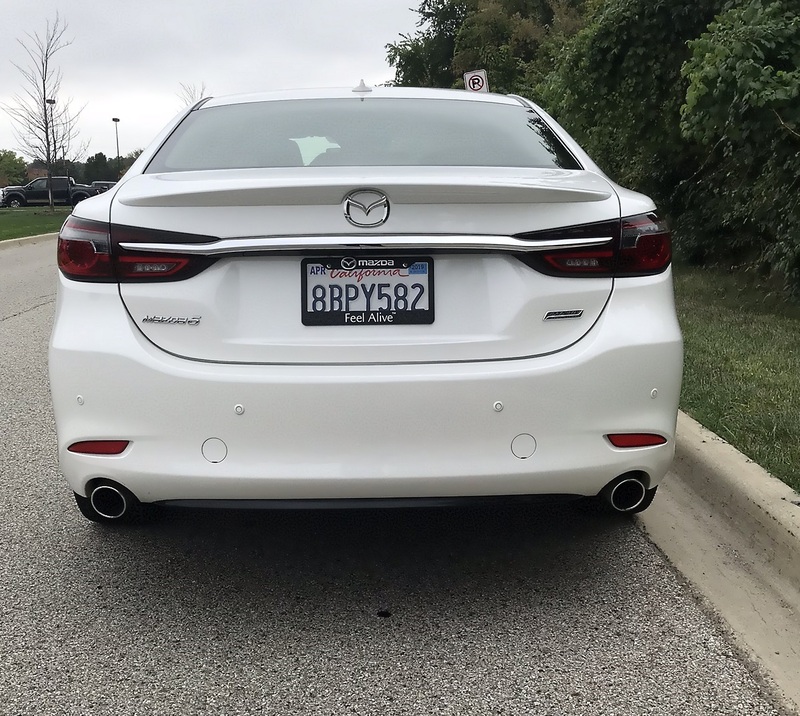 I had a Blast driving the Mazda6 Signature! 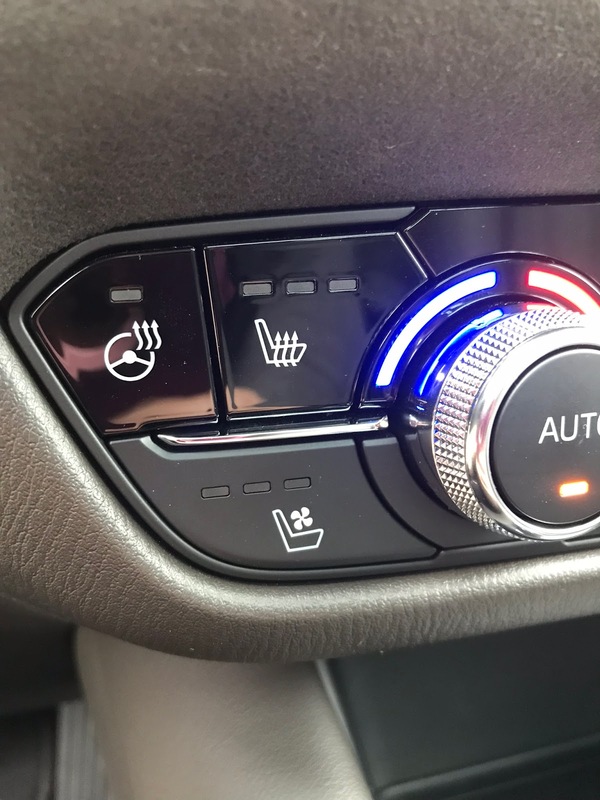 This is a fancy car with fancy features. It has a great pickup pace and was the perfect little commute car for the week I had it. I fit all 3 of my kids in this car with ease (my 11.5yr old in the front seat, a booster and car seat in the rear) and still had plenty of trunk space for groceries and anything else I needed. Very spacious, very smooth drive. 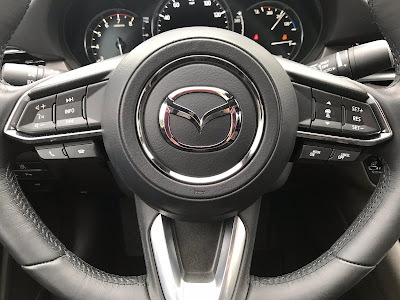 I love Mazda's because they handle so well, get great gas mileage and are affordable with a wonderful warranty. I would absolutely consider buying one, they've grown on me a lot over the years. I loved this one with the Nappa Leather seats! a GORGEOUS brown! and a sunroof to boot! 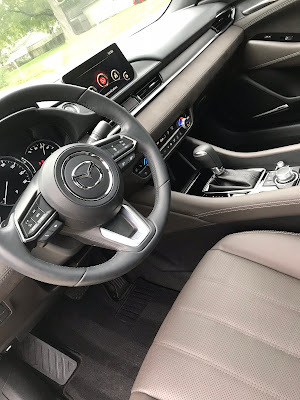 Not only did this Mazda6 have heated seats and steering wheel, it also had COOLED seats!!! I've only seen this in a few cars before. But in our 90 degree heat, it was welcomed! Perfect after leaving a workout at the gym! 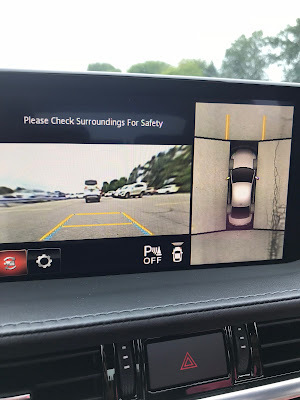 Also had a neat 360 camera, and when the car went from reverse to drive, it also has a front facing camera to help avoid obstacles. While in reverse it shows the rear of the car. 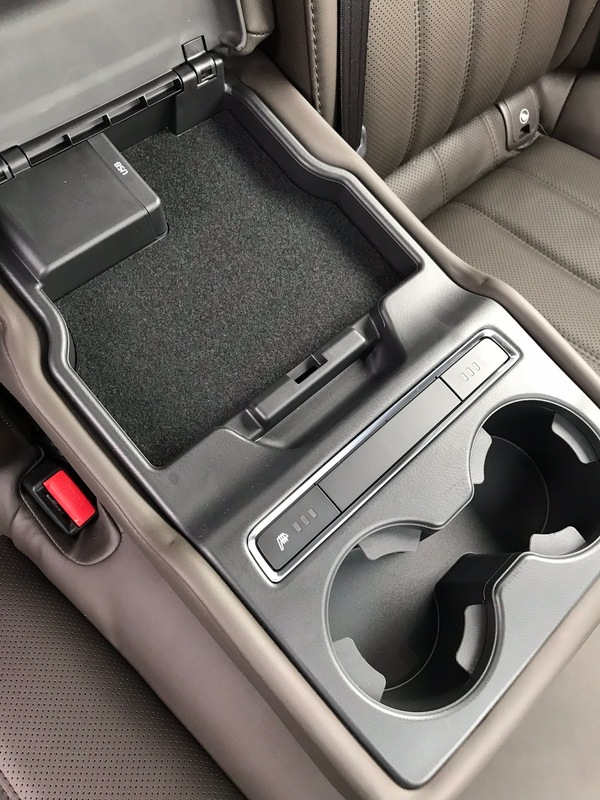 Rear pull down cup holders and charging pad, also had rear heated seats. Tons and tons of trunk space. I was shocked, from the outside, it appears to be lacking. I was wrong. While driving, the Mazda6 has the blind spot alert system. It lets you know when a car is next to you in your blind spot. 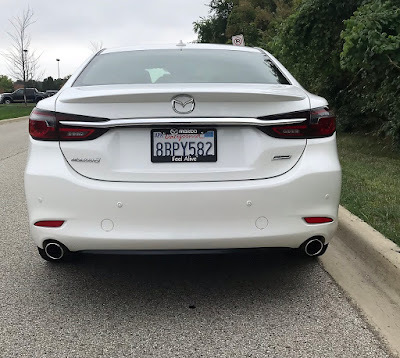 Also with the Mazda6. 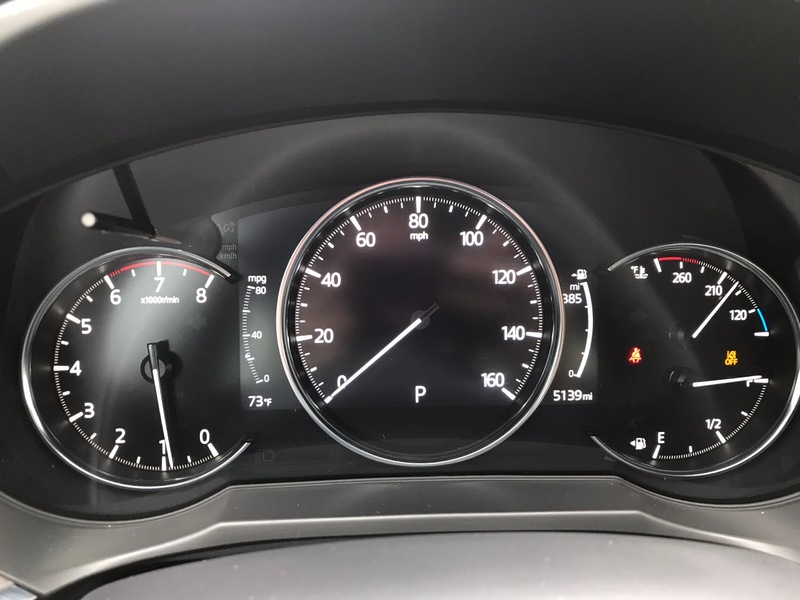 When you're driving and you turn on your blinker, if there is a car next to you, the car will beep at you to let you know that a lane change is not possible at that time! A very neat feature that scared me a couple times. But it is nice! Overall a wonderfully gorgeous car to drive! Safety wise, the Mazda6 excels as well. It features Radar Cruise Control. While on the highway it will maintain a certain distance between you and the car in front of you, which is a great feature to have. And when the car in front moves, your cruise control goes back up to the speed you had it set at, automatically! This has become my favorite feature on a vehicle, and I'm sad my permanent vehicle doesn't have this! Smart Brake Support with Collision Warning. When going over 10mph or more it will alert you of something in front of you and let you know you need to brake. 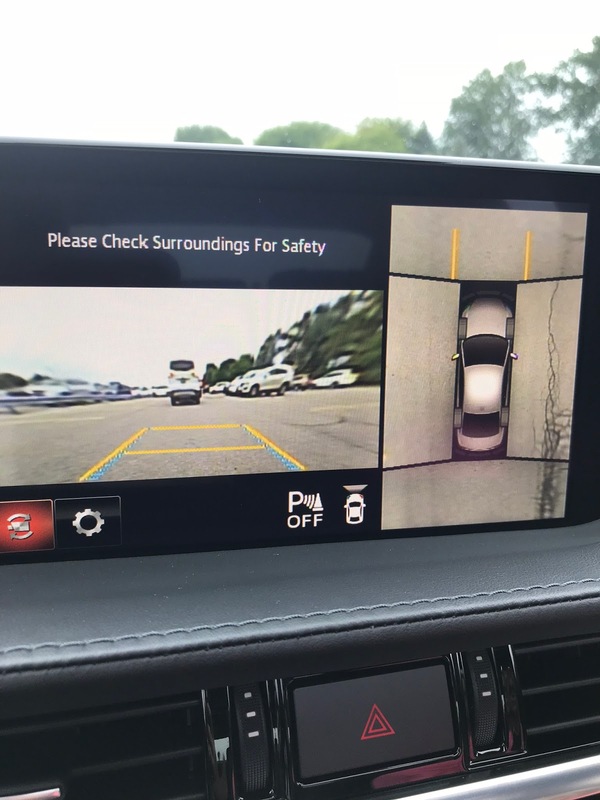 Lane Departure Warning System lets you know when it thinks you are unintentionally going over a line in the road. Also features Lane Keep Assist. If it senses an unintentional lane departure, it will perform minor steering corrections to keep you in your lane. The 2018 Mazda6 starts at $21,950 with the Signature Model at $34,750. 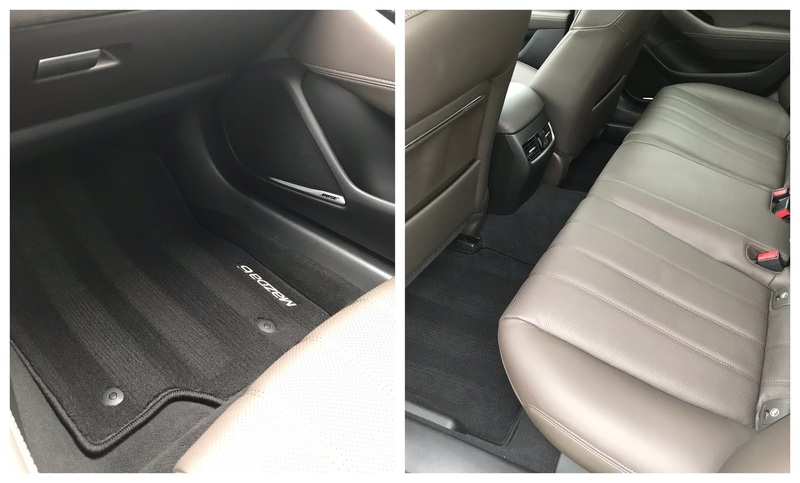 This exact one I tested came in at $36,040, which I find is very competitive among other mid size sedans. 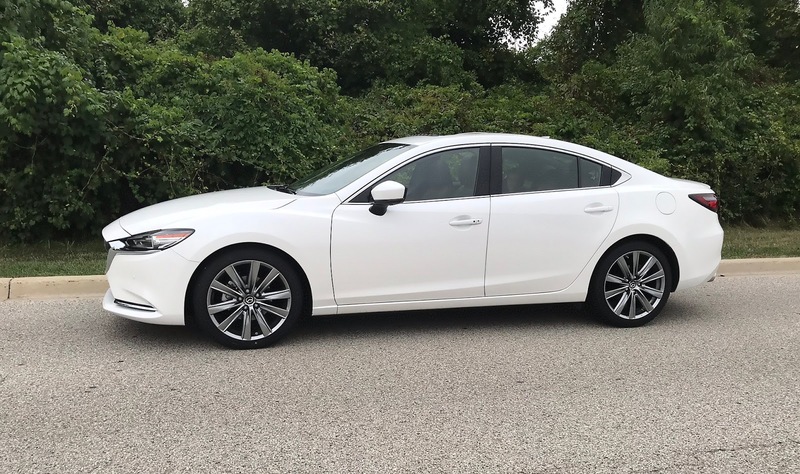 I would definitely recommend the Mazda6 to a person who is single, a couple or a couple with 1-2 small children! Great trunk space and room to tote around extra people, just not ideal for more than 1-2 car seats. 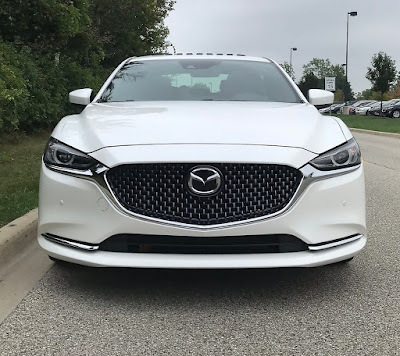 *Disclaimer, I received a Mazda6 for a 1 week test drive. All opinions here are 100% my own and I was not compensated to write this post, other than receiving the vehicle.